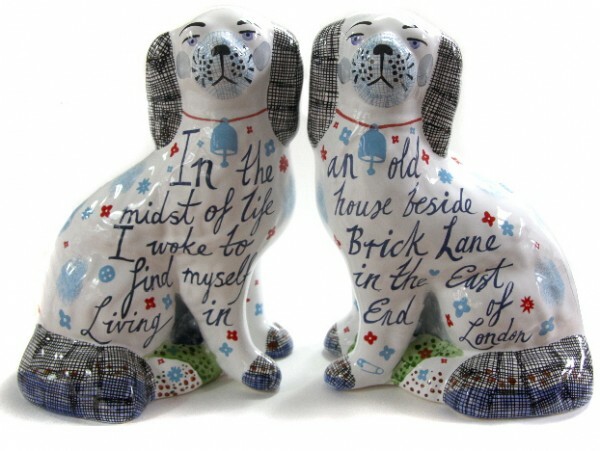 Come and see Rob Ryan’s papercuts & Staffordshire dogs at The Artists of Spitalfields Life opening at Ben Pentreath Ltd on Wednesday 7th November. In a quiet street off the Old Bethnal Green Rd, there is a large wooden door. If you go through a smaller door within this large one, you enter a passage, under an arch, that leads to a courtyard where there is another door. 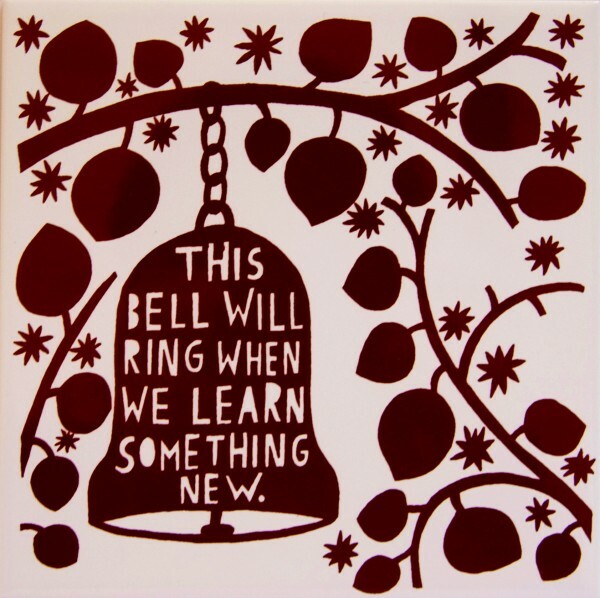 Go through this door, climb up a staircase and you will find the secret den of Rob Ryan, the papercut artist. With his luxuriant curls and thick beard, working here in this old loft, intent upon his creations, Rob Ryan might appear as a Romantic nineteenth century figure – like “The Tailor of Gloucester” – if it were not for the hoodie and Raybans that bring him bang up to date. “I am not a connoisseur of papercutting” Rob declares in self-deprecating style, when I ask him about the origins of his work, as we cosy up on a couch upholstered in denim jeans. 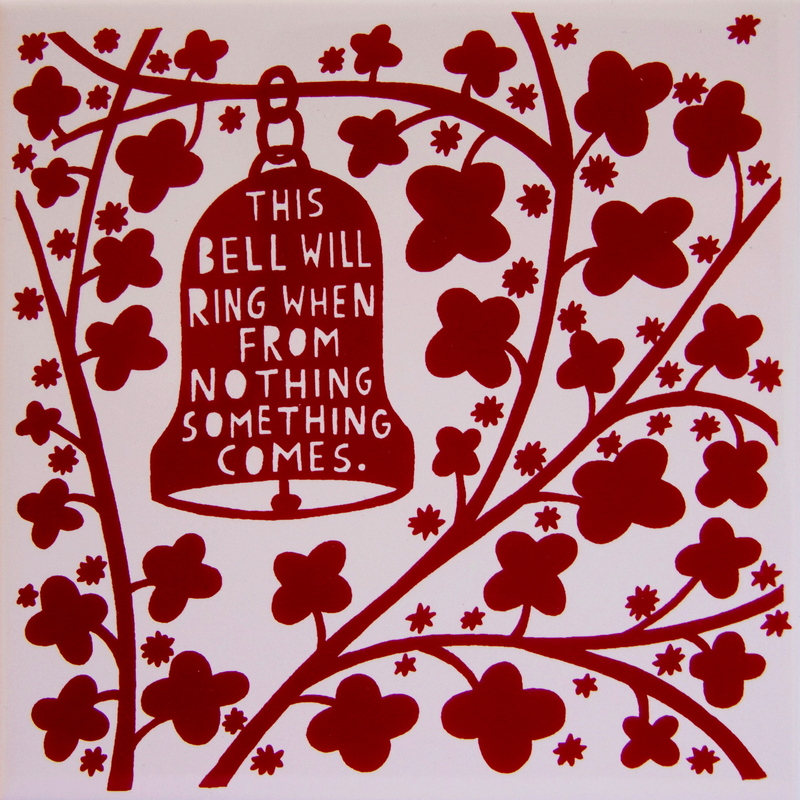 Years ago, before the seismic shift in cultural hierarchies that happened at the end of the last century, Rob was a painter who included words in his paintings and got a lot of flak for it. “Cheating” was the particular crime levelled at him at the Royal College of Art, where Rob was studying printmaking. Rob produces a scruffy old Thames & Hudson paperback of Tyrolean papercuts - if there was a eureka moment, it was the discovery of this book. Making papercuts, he explains, was a natural extension of the screenprint stencils that he was already cutting and the symmetrical nature of these papercuts did not allow for the inclusion of words. So papercutting was the “cure” for the “malaise” of sticking words in his pictures. Rob’s story is a startling reminder of how the hegemony of the art world has changed now, but it does not begin to account for the extraordinary flair that he brings to everything he touches. This is work of immense appeal that celebrates life and the complex emotions that colour our daily experience. Obviously, the “cure” was completely ineffectual because his work is full of words that provide an important dynamic to the images. 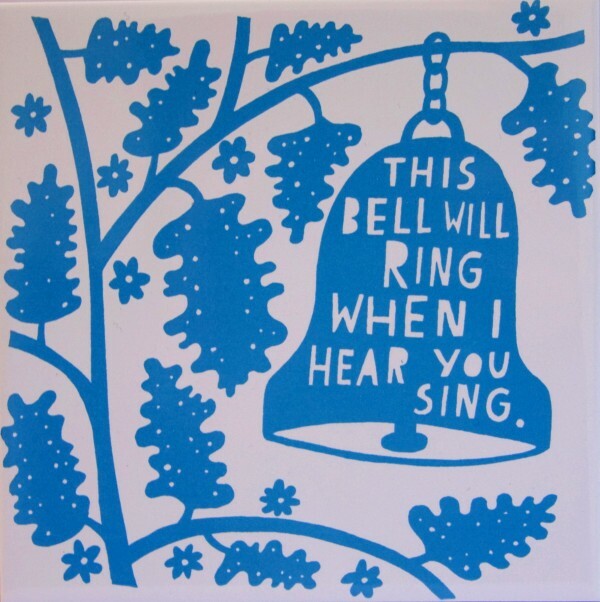 “I like the work of William Blake, and those English twentieth century artists like Eric Ravilious, Edward Bawden, Eric Fraser,” Rob explains, and his work is an honourable inheritor of this lively tradition. Things start to get exciting now, as he offers me an apple, and moves over to his work table to commence a papercut. 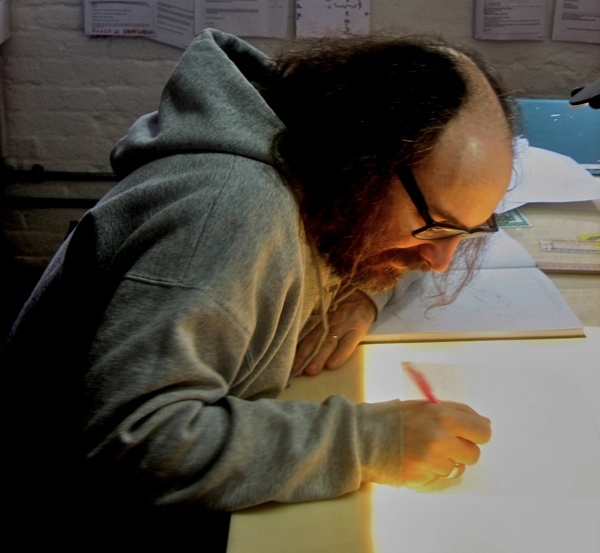 His energy changes and a serene Rob Ryan emerges as he opens a notebook and begins purposefully to copy a sketch in pencil onto a sheet of paper on a light box. Then he transfers the paper to a green cutting board and begins to cut it out with a scalpel in swift confident strokes. There is a different, more intense, atmosphere in the room now, everything focussed to the quick movement of the blade between Rob’s nimble fingers, and I reach over to capture the moment with my camera. Then it has passed, Rob inscribes the papercut and kindly presents it to me with as a souvenir. It is an image of a mother and child playing together. As I examine the treasured scrap, when I get back to my desk, I am conscious of the sinuous subtle lines of this delicate cut that give these figures life and movement, and capture an ephemeral moment of intimate affection between parent and child. 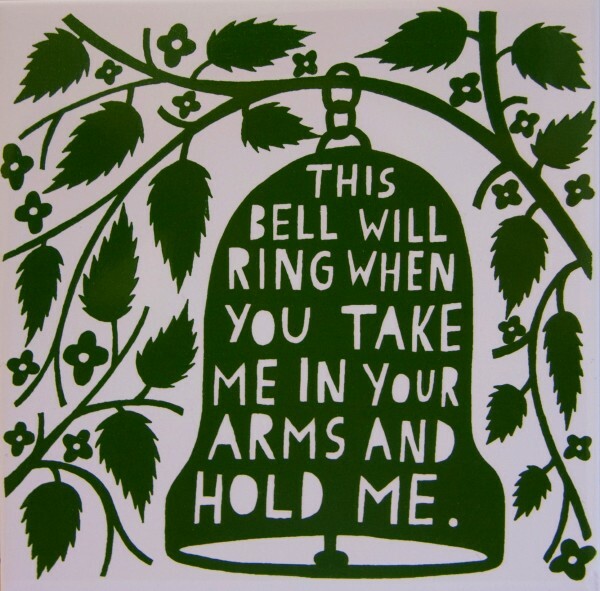 In a papercut, all the elements have to be connected – human figures have to hold hands or touch – and as result of this technical requirement, this sense of connection has become a defining element in Rob Ryan’s work, as both technique and as subject matter. The breathtaking skill on display brings an audience to these works, but it is the language that gives depth in the exposure of ambivalent or raw emotion, and this emotionalism, whether light or dark, creates an exciting counterpoint to the control required to make them. Years ago, Rob had a studio at the Bishopsgate end the Spitalfields Market before it was demolished. He regularly used to eat a huge roast lunch at the Market Cafe in Fournier St before it shut at eleven in the morning, to set him up for a day’s work. He has now become one of the most popular artists, in our neighbourhood and far beyond, and I like to think that in his use of familiar domestic images, he captures something of the essence of the life of this place as it is lived now.